You really can get anything on EBay, even electronic voting machines proved to be easy to corrupt for purposes of voting fraud. Brad Friedman of The Brad Blog first noticed that “more than 10” AccuVote-TS voting machines, built by Diebold, were being sold on the online auction site for the buy-it-now price of $1,200 (plus $50 shipping and handling). The machines are used and don’t come with user’s manuals, power supplies, batteries or memory cards, which may explain their discounted price. However, for those who wish to rig elections, machines like these are priceless. Friedman was contacted by the seller, who told him that he had more than 100 of the electronic voting machines that were originally used in Van Wert County, Ohio. One advantage to having a high-profile recount in two straight elections: Minnesota’s voting systems have been scrutinized more than most. Minnesota Secretary of State Mark Ritchie, who presided over both the 2008 Senate and 2010 governor recounts, testified Thursday about the state’s voting system at a congressional hearing on improving elections. Ritchie was one of two Secretaries of State asked to testify by the House Administration Committee. The hearing was held to examine “what went right and what went wrong” in the midterm elections, with House members most interested in ways to cut down on fraudulent voting. Calling Minnesota’s elections the “best system in the country,” Ritchie said it was important not to wait until after an election to invest in fixing problems. Senator Rory Respicio has introduced an election reform bill that would permit electronic voting using machine that are capable of producing “voter verified paper ballots” [VVPB]. Following the 2006 election Senator Respicio was the sponsor of a Bill banned electronic voting which eventually became Public Law 128-31. In a release, Respicio explained he drafted that Bill because of the many problems with electronic voting during the 2006 election. “Those Ivotronic machines,” says Respicio, “stored votes electronically, so they could easily be hacked or lose their data.” The old machines did not provide paper receipts that could be hand counted or audited. Secretary of the State Denise Merrill today praised the Connecticut General Assembly’s Government Administration and Elections committee for unanimously endorsing Senate Bill 942 “An Act Concerning the Integrity of Elections.” Secretary Merrill proposed the bill in February to strengthen the integrity of Connecticut’s elections by requiring more communication and accountability between local Registrars of Voters, charged with the responsibility of running all elections, and the Secretary of the State’s office. Under the proposed legislation, every municipality in the state would be required to either purchase enough ballots to cover 100% of registered voters, or report to the Secretary of the State’s office how many ballots they purchase for upcoming elections, certifying that the number of ballots ordered has taken into account factors such as tight races that may augment voter turnout. The Secretary of the State’s office would have the authority to review and in some cases reject these purchases if an insufficient number of ballots were ordered. Every town would also be required to have an emergency plan to address issues such as power outages and ballot shortages on Election Day. It’s hard for overseas servicemen and -women to vote back home in Alabama, but bills in the House and Senate will change that, the sponsor of a Senate bill said. The Senate by a 30-1 margin on Thursday approved a bill by Sen. Gerald Dial, R-Lineville, to create a 13-member Alabama Electronic Overseas Voting AdvisoryCommittee. 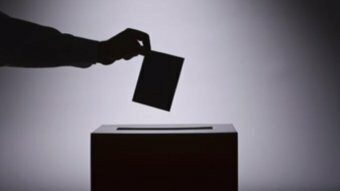 The committee would determine whether secure electronic absentee voting can be developed for Alabamians living and working overseas on election days. The secretary of state would have to establish, test and implement absentee overseas balloting by secure electronic means. The Election Commission Secretariat estimates that Tk 1,200 crore will be required to hold the next parliamentary elections under electronic voting system. EC Secretary Muhammad Sadiq yesterday said this at a meeting of the Executive Committee of the National Economic Council (Ecnec). Prime Minister Sheikh Hasina presiding over the meeting said the government will introduce the system in the next parliamentary elections. She directed the EC to take whatever measures necessary to this end. She also said when the system is in place, results will be quicker and there will be no scope for vote rigging. Online voting for last weekend’s NSW election was far more popular than expected. But embracing the convenient joys of this new technology introduces new risks to this core process of democracy. As iTnews reported, the NSW Electoral Commission expected around 10,000 people to use their new iVote system. The actual number was more than 47,000, with more than 90 per cent of them being voters who were outside the state. Now without a doubt online voting makes it easier for travellers to vote. It improves the lot of the disabled too, who can vote for themselves rather than rely on the assistance of others. And it’s a boon for the lazy who selfishly imagine that having to queue at a polling place once every three or four years is more of a burden than an undemocratic government. But the success of an election shouldn’t been measured by its convenience, but by its ability to solve a conundrum: how to combine the complete transparency of process needed to eliminate fraud with the secrecy of individuals’ votes.The secret ballot was an Australian invention, even called “the Australian vote” for a time. Today it’s so common even in contexts outside national and state elections, and it so obviously removes the risk of voter intimidation, that we take it as a given. We’d be fools to give that away. The U.S. Election Assistance Commission (EAC) has certified the Unity 3.2.1.0 voting system by Election Systems and Software (ES&S) to the 2002 Voting System Standards. It is the fifth voting system to achieve federal certification under EAC’s Voting System Testing and Certification Program. The Unity 3.2.1.0 comprises two precinct-based optical scanners—the M100 and the DS200—and one central-count scanner, the M650. The accessible voting device for this system is the AutoMark. EAC issued federal certification for the Unity 3.2.1.0 system after ES&S demonstrated compliance with the following final certification requirements, which complete EAC’s comprehensive testing process: rebuild the voting system in a trusted environment, known as a “trusted build” (an act performed by an EAC-accredited test lab), provide software identification tools to EAC so that whomever purchases the system can verify its authenticity, provide voting system software for the EAC repository, and agree in writing to comply with all EAC certification conditions and program requirements. As Republican governors and legislators across the country push forward with ambitious and sometimes controversial budget-cutting agendas, the GOP in many states is also quietly encouraging another controversial measure: Voter ID. The Associated Press reported this weekend that Republicans are moving forward with such measures – which can require people to show identification or swear an oath of their identity when they vote – in about half of the 50 states. And in many of them, the bills have a better chance of becoming law than in a long time. In a case that has drawn strong criticism from Republican conservatives, the Justice Department’s Office of Professional Responsibility has found no evidence that politics played a role when department attorneys dismissed three defendants from a voting rights lawsuit against the New Black Panther Party. OPR, which investigates allegations of attorney misconduct, concluded that the government lawyers’ work on the lawsuit in 2009 was based on a good-faith assessment of the law and the facts and had a reasonable basis. A Kanawha County commissioner is upset with the prospect of the state awarding a no-bid contract for maintenance of electronic voting machines. But the Kanawha County clerk believes the maintenance contract, if approved by Secretary of State Natalie Tennant’s office, would be a good deal for taxpayers. Commission President Kent Carper believes the state giving Electronic Systems & Software a no-bid contract to perform maintenance on the 374 electronic voting machines and two tabulators is just another unfunded mandate placed on the county. The county would have to pay the company $66,000 to $76,000 a year for maintaining the machines, Carper said. The entire electoral leadership of Montgomery County met Tuesday with state investigators to discuss voting irregularities that took place nearly five months ago. State officials are trying to determine whether any laws were broken when normal voting procedures broke down in the Nov. 2 election. As expected, investigators interviewed election officials Tuesday at the County Government Center. The meeting was closed to the public and press. It is not known when a decision will be announced. The State Board of Elections asked for an investigation after poll workers in several precincts — hampered by laptops that would not boot up with electronic poll books — let some 700 Montgomery County residents vote before it could be determined they were registered and in the correct precinct. West Virginia election officials are negotiating a maintenance contract for the state’s electronic voting machines. In 2005, under the direction of Secretary of State Betty Ireland, election officials entered a single-source contract with Omaha, Neb.-based Election Systems & Software to provide touch-screen and optical-scan voting machines. The deal gave ES&S a virtual monopoly on voting systems in West Virginia. The deal also gave ES&S exclusive maintenance contracts to take care of the voting machines. Jake Glance, spokesman for Secretary of State Natalie Tennant, said those maintenance contracts are set to expire in September. Glance said election officials are negotiating with ES&S to renew the maintenance contracts. The impending law requiring voter photo identification was considered by Democrats as a political move so that fewer Hispanics go to vote when elections are held. “It’s just that, a political move aimed at creating difficulties for members of minorities to vote. This is something that Republicans have long sought to remove power for the Latino vote,” said Sergio Mora, president of the Democratic Party in Webb. He said Governor Rick Perry declared this bill as an emergency in Texas Congress, knowing that there are really serious and severe problems in the state as the budget deficit and cuts to education. Jasper County Auditor Dennis Parrott is standing united with all other county auditors in Iowa to oppose a law championed by Iowa Secretary of State Matt Schultz that would require a photo identification to vote in Iowa. Although the law appears to be dead for this legislative session, Schultz is indicating that he doesn’t plan to let the issue die a permanent death. House File 95 would require a person to produce a photo ID when voting at the polls. No county auditor in the state of Iowa, which includes 60 Republicans, 38 Democrats and one independent, was in favor of the bill. Although the purpose of the bill is to prevent voter fraud, Parrott said voter fraud is not a problem in Iowa, and besides, the bill is seriously flawed and totally unnecessary. A new plan for to close Idaho’s primary elections and require voters to register by parties could still allow independents to cast a vote in primaries, though party leaders would have the final say on such participation. The chairmen of both the state Republican and Democratic parties say they’d welcome independent voters in their primaries. The legislation for closed primaries follows a successful lawsuit by the Idaho Republican Party, which convinced a federal judge that Idaho’s open primaries, which let voters pick any party’s ballot, violated its constitutional right to assemble. On Monday, budget writers also agreed to repay some of the GOP’s attorney fees. The Joint Finance-Appropriations Committee (JFAC) agreed to pay the Idaho Republican Party $100,000 to cover lawyers’ fees for the lawsuit striking down open primaries. Secretary of State Scott Gessler answered citizens’ questions and objections, interjected jokes and qualified election perceptions at length during a two-hour town hall meeting in Saguache Wednesday. A good-sized crowd listened intently as Gessler explained the role his office played in the election, separated his approach to the election problems the county has experienced from that of predecessor Bernie Buescher, and outlined how he plans to move forward. Shiv Sena would oppose the use of electronic voting machines (EVMs) and e-voting system during upcoming polls in 10 municipal corporations and 167 municipal councils in Maharashtra. A delegation of Sena leaders today met state election commissioner Neela Satyanarayan submitting a memorandum opposing use of EVMs and e-voting in the polls. The commission had earlier said that it will set up a committee before introducing the e-voting system. “The EVMs create confusion in the whole voting process and among voters. It’s not every day that House Speaker Gordon D. Fox adds his name to a bill with Republican Joseph A. Trillo or even fellow Democrat Jon D. Brien. But Fox and House Majority Whip J. Patrick O’Neill, along with Brien, Trillo and Republican Tea Party member Doreen Costa, have joined together to support a bill that would require voters to show photo identification at the polls. Backers of the “photo ID” voter legislation got a bit of a scare last week. The bill, which would require voters to show photo identification when they vote, was pronounced nearly dead by a group that had championed it. “Internal Republican politics may ultimately kill 21st Century Voter ID,” screamed an e-mail alert from Minnesota Majority. The photo ID proposals originally were projected to cost $60 million because of weighty mandates that would require precincts to have electronic verification systems, making the bills a hard sell.